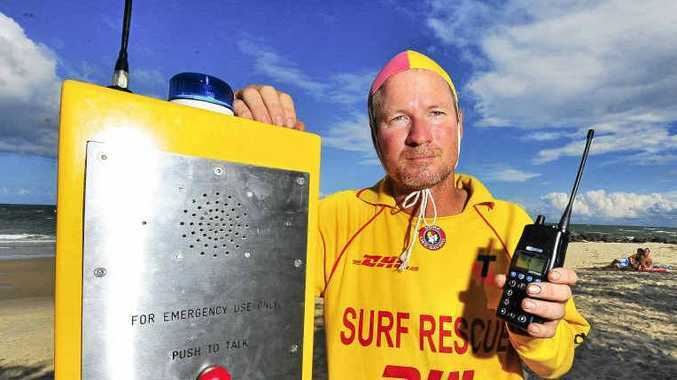 ELLIOTT Heads Surf Life Saving Club has a new piece of technology it hopes will help members respond faster to emergency situations. The mobile emergency response beacon will be placed near the river mouth - around the corner from the flagged beach - during patrol hours. Surf Life Saving Queensland regional manager Craig Holden said the radio would minimise response times and mean faster rescues. "The club is very excited. It's the fist time this equipment has been used at Elliott Heads," he said. Club member Jeff Heaton said the radio would be signposted and put in a spot the public could easily see. "Hitting the call signal allows the public to talk directly to a patrol member," he said.